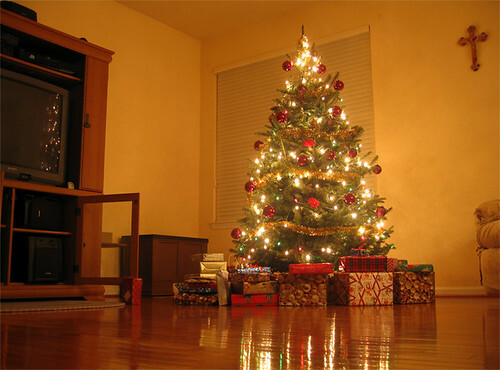 The Saddest Christmas: No Job, No Money, No Future? I am taken a-back listening or reading about folks and families who don’t have it as good as many of us, especially at this time of year. Everything is relative here. The people of Haiti, and the horror stories of lives and limbs lost and so much more during and after the earthquake – THAT is just CRAZY. However, I’m not reflecting on living in disaster-or-war-zones, but rather, how people manage to live poor lives in one of the more opportunity-loaded countries in the world: USA. I think we have pretty much everything. Anybody who is of legal working age, who has their health and wits about them should be able to make a living. Others can do more. But smart people should not need to go on well-fare at all, or for very long. (Notice: 10 years ago, I got checks for about a month (from the government), ’cause I wanted to see how it felt to be “taken care of”, and I frankly was in a lazy spell. Yeah, it sucked). So why is it then that this next story has me writing so passionately? It’s because I think people like the couple I’m describing are lazy, in a wishing & hoping mode (like I was for a period of time), and waiting for something to happen. The “when I get that, I’ll do this” syndrome. It’s never simple, but so many are not taking responsibility for themselves. Earlier this week, I was reading the front section of USA Today. It was about “jobless families finding the holiday spirit”. A family in California had gone from a fantastic, abundant and cash-rich Christmas a year ago, to living in a garage this year, barely making it. Statistics showed in that article claimed that almost 300,000 married couples across the nation, who had jobs – are now unemployed. This is sad indeed, and I’m not trying to sugar-coat or change that fact. It was in the USA Today, so it must be true. And, before I continue – I love people and realize life can be a struggle – health, money, relationships and more – we all deal with it. Don’t read this the wrong way, just trying to make a point. And, I’m not trying to solve their lives in a short blog post. This couple (husband & wife) and their two small children live in a garage of the wife’s mother – and with belongings that fit in the space. They have been living there since June. Not nice. They had a house that they stopped paying for, and still trying to sell the house. The choice was between food or gas or mortgage, they said. (Note: I know about this hardship, I had to sell a house at over $300,000 loss, and just barely making it out ‘alive’. The recession and housing bust was and is no fun. I’ve been there – and with a growing, starving family. (Stop the pity now!)). This couple is receiving toys, gifts, food from their local area community church, donated by others. That’s nice. With the kinds of trends in the (economic) marketplace, and with the history and recent negative spin in their lives, the future doesn’t look very bright. Not cool. Focusing on the meaning of the holidays, and getting into the spirit is of course what we all would do. It’s important to think of family, friends and enjoy the spirit. That’s what they are doing too. Not sure – but I just sense “no-low-action” and “no foresight” in this next section, and its my biggest beef with the story. The wife’s mother and her family grew up poor, but her daughter (the wife in this story) was raised with a strong fighting spirit, and the notion that you just don’t give up. You work and pray, and blessings will come, she says. She’s also educated (college degree), and she wanted to teach, we learn. She was making $1,000+ a month, but it stopped because of kids being born. In 2009, the full-time assistant teaching jobs disappeared. The husband worked at the popular Disneyland for $9/hour. He knew this was not enough for his family, so he specialized and became a mechanic specializing in elevator construction. Good. He was making $50/hour. But, the California economy tanked, and he was out of a job. Add to this the housing market down-turn, and the house they bought lost more than 1/2 the value. Only union benefits now cover health insurance. They spent a “lot” of money upgrading the house before they left, and felt connected there. Now, he gets $450/week unemployment checks, but it disappears quickly. And, they pay $150/mo for the house to keep the lights on, waiting for the sale. Now that you understand the background of an unfortunate family in our state, your immediate thought might be: “Oh boy, I’m glad I don’t have it THAT bad”. Good for you, but that doesn’t change their current fate. Just think about it. There are two ‘other’ sides to this story. ONE: I have been there too: unemployment check, lost the house, family and wife requiring all my attention, not seeing the future as even a possibility, and living day-to-day, and one day becoming very aware of the measly $1.95c (not kidding) in my bank account. I thought of driving a taxi or limousine to get some cash. I even thought of bar tending to keep the lights on. I scoured my network of professionals at the time, and got a job in Vegas finally, moved there, helping a struggling database company build online solutions. TWO: My main point, or issue with this story – is NOT the married couple, but it feels like (I don’t know them) so many I’ve met over the years. Complaining or thinking the government will help them, or that their job (when they have one) should do more for them, and that there is simply not enough money to go around (“too much month at the end of the money”), that it’s clearly the economy, and the biggest of them all: it’s somebody else’s fault = life is NOT fair, and I’ll wish for a better future! This couple, and many others – while I feel for them – can make a positive change in their life, of course. Not overnight, but they must begin by changing their thinking, and taking immediate action on plans they map out. It’s not going to be easy. I’m still working on it, there is never a straight line to your goals. We are brought up behaving and thinking a certain way: go to school, get a good grade, get a job (keep it), compare yourself to your friends, neighbors – work until you retire, and let social security do the rest. As humans, our ultimate goal is to be happy and find our spiritual self. And, when we depart this earth, feel like we loved, contributed and made a difference to others. What do you think? What’s your first step?